The previous Great NEWS post was on Chiropractic Care & Caring and today we focus on Rebounding to Energize, Exercise and Lymphasize. The recent post on Maintaining Alignment, Muscles and Posture evolved into a ten part series with expanded content to help empower more people. Maintaining alignment, muscles and posture is essential for your long term happiness, health and harmony so this week we discuss rebounding and some great ways to Energize, Exercise and Lymphasize. The original blog post shared my top ten tips to help maintain a peak performance physiology for life. It offered short summaries regarding simple suggestions for Maintaining Alignment, Muscles and Posture to prevent physical challenges from becoming worse. A few sentences are often not enough to inform, influence and inspire you to take adequate action therefore this post is offering a reminder and more detailed explanation of one tip that will help improve the quality of your life now and for the future. 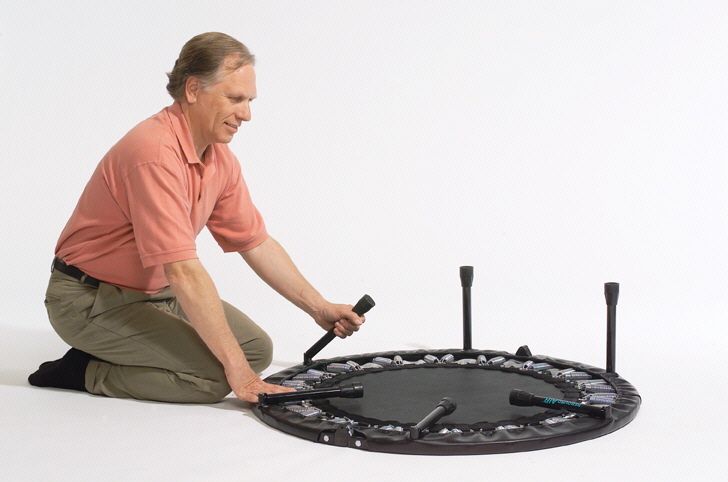 Rebounding is a great way to energize, exercise and lymphasize. Many people share with me ongoing aches and pains that refuse to go away. These may have resulted from a number of individual or collective causes. Even if you have not experienced this yet, applying these suggestions may help prevent them from occurring. Remember an ounce of prevention is worth a pound of cure. Common contributors include: bad posture, car accidents, chair design, child birth delivery issues, computer monitor placement, couches, ergonomics, falls, high heels, imbalanced muscle development, improperly fitting shoes, injuries, low quality shoe inserts and support, mattress/ sleep problems, military service injuries, overdeveloped muscles, pillow size, poor alignment, posture, sports injuries, stress, tight muscles and tendons, underdeveloped muscles, unnatural gait running and walking and many more. Many things can directly and indirectly cause annoying pains and problems. In Maintaining Alignment, Muscles and Posture Tip 4 we share rebounding which is a great way to energize, exercise and lymphasize. One of the easiest ways to do all three is by rebounding on a mini trampoline. To look at the three aspects of energize, exercise and lymphasize we must fist understand some biology and physiology basics. Here is a quick summary of basic biology. The lungs main purpose is to release carbon dioxide from the blood and re-supply oxygen to the blood. The heart then pumps the blood throughout the body. Food is digested in the intestines and the nutrients are absorbed by the blood and transported throughout the body. Fats are processed by the liver and stored for future use. Carbohydrates are converted to sugars (glycogen) to be used as fast fuels and excess sugars are converted to fat and stored by the body for future use. Oxygen and sugars supply the cells mitochondria with the basic ingredients to create energy which powers the cells and creates heat energy. One of the most important considerations for the blood to be at peak performance is hydration. Hydration means having an optimal amount of clean water and minerals and trace elements in the blood for optimal efficiency. When you have proper electrolytes (minerals), fuel and oxygen then you have what is needed to energize your body. To energize it is essential to circulate and increase the flow of blood. Blood carries oxygen and fuel to the cells and then carries carbon dioxide and waste products away to be removed from the blood by various organs. Our blood is the river of life and we must do whatever it takes to maintain and protect this river which is the source of our energy and our life. Lymphasize refers to moving the lymph fluid throughout the body. 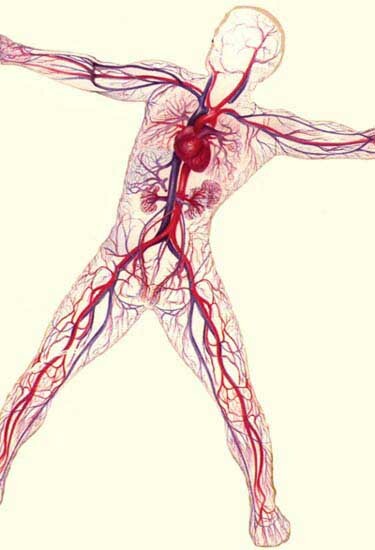 The lymph fluid is the second circulatory system of the body and there is more lymph fluid than there is blood. Lymph is the clear fluid you see when you pop a blister. The lymph system serves as the fluid reserves system for the body similar to the radiator in you car. You may have 5 quarts of oil (similar to blood) in the engine but you have several gallons of coolant fluid in the radiator system. Lymph serves as the garbage system collecting the dead pathogens, waste products from the cells, white blood cells and more. Unlike the cardio vascular system which has the heart as a pump the lymph system depends on the muscles of the entire body to pump lymph fluid. If a person was immobile for too long and the lymph did not circulate the person could actually die from the toxin build up. This is why it is so important to be physically active to lymphasize and keep the lymph moving throughout the body and lymph glands. When you are sedentary the lymph is not circulating enough to move the toxins and waste products for elimination and as they build up your body feels lethargic and stagnant. Swollen ankles and feet are often a sign of lymph build up. Any activity or motion that utilizes the larger muscles will help keep the lymph moving. This is where rebounding exercise shines as a great way to activate every cell in your body with minimal effort and impact to the skeletal system. When you are rebounding up and down on a mini trampoline every cell in the body gets a mini work out at the exact same time. As you bounce up you are temporarily weightless for a fraction of a second and every cell relaxes. Then when you come back down every cell in the body is compressed and tightened which causes fluids to be circulated and expelled from trapped areas. This repeated motion on an ongoing basis gives you a rapid work out and then relaxation sequence with thousands of repetitions in a short period of time. Think about the benefits of every cell in your body getting a workout simultaneously. Imagine every cell in you body including those in your brain, head, heart, organs and legs enjoying the benefits as you energize, exercise and lymphasize at the exact same moment. Rebounding is good for everyone of all ages. Rebounding is great for people of all ages and especially for seniors. The springs provide a low impact high benefit exercise that gives a great overall workout with minimal wasted energy and jarring on the skeletal system. Rebounders are safer than many treadmills when using the handle. They allow a person to work out 365 days a year in spite of the weather outside. They can be used for rehabilitation after an illness or injury. Modern quality rebounders are extremely well made and very reasonably priced. Many models come with a handle to hold on to for balance. They usually come with a DVD providing tips and training techniques. One of the models I have cost $100 on sale and even folds up and comes with a carrying case. Another model of mine costs over $200 but has lasted for over 15 years with only a few springs replaced. Be careful to ensure it has well designed springs, resilient fabric and quality construction. The last thing you want is a cheap low quality model where the fabric could deteriorate and tear resulting in a fall and an injury. This almost happened to me with my first one, a $25 model I had more than 20 years ago. The mat fabric deteriorated and tore with me falling through and almost falling over. 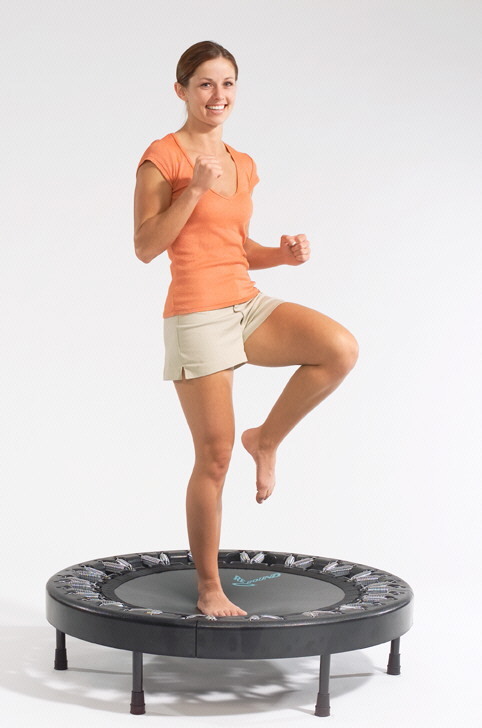 When you do not have access to a rebounder there are several easy ways to energize, exercise and lymphasize. You can do simple toe dips and toe raises which are a quick and easy way to get the lymph fluid moving. Doing lunges and squats are other ways to enjoy a quick lymphasize technique. Walking up and down stairs is another great alternative to get the lymph circulating. 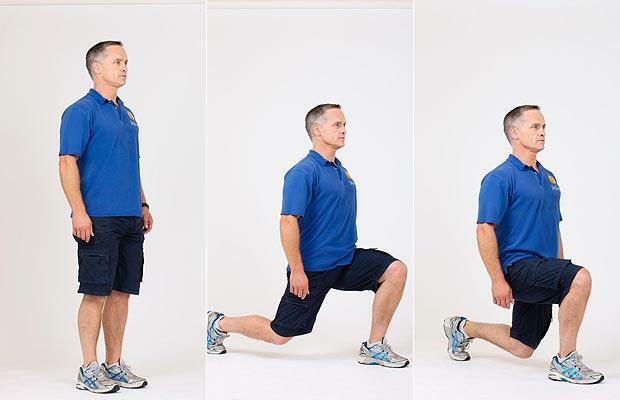 Lunges and squats are other ways to enjoy a quick lymphasize technique. Rebounding exercise, toe dips and toe raises are quick and easy ways to get the lymph fluid moving and clear out the toxins from the legs and lower body. Moving your lymph is vital for clearing out toxins and keeping the cells in top condition. Sluggish lymph leads to low energy and sluggish performance. Laying down or sitting down and raising your legs up higher than your heart are also great ways to move the lymph out of the feet and legs and get it circulating. This Great NEWS post regarding rebounding to Energize, Exercise and Lymphasize offers very simple strategies to easily improve your health and well being. As part of the ongoing series on Maintaining Alignment, Muscles and Posture you now have even more reasons to add this to your rituals and routines for health. My outcome is to empower and excite you to enjoy this ten week series inspired from Maintaining Alignment, Muscles and Posture to improve your long term health and peak performance by Rebounding to Energize Exercise and Lymphasize. What are you doing for maintaining alignment, muscles and posture? Do you have a rebounder? Even if you do not have one yet there are several other suggestions to energize, exercise and lymphasize. If you have a rebounder be sure to use it at least 3 to 5 minutes each day. If you do not have one yet try one out and put it on your vision board. It may be one of the best investments you make for your health. What comments, commitments or questions do you have regarding rebounding to energize, exercise and lymphasize?